2 Bedroom Upper Floor Flat For Sale in Crewe for £90,000. 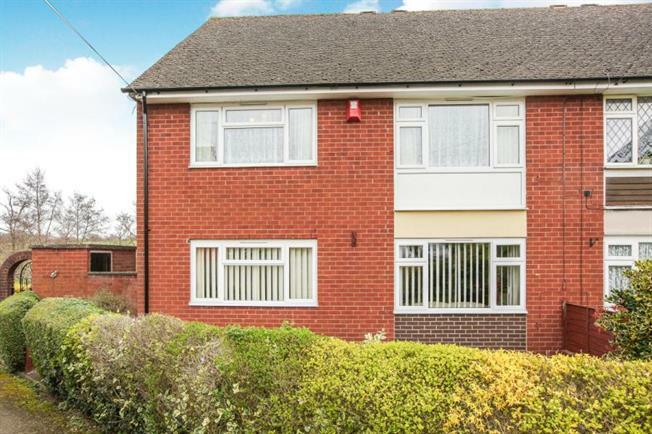 This property's price has dropped from £99,000 to £90,000. Looking for a cosy apartment in a popular village location? With a lovely garden and low service charges? In need of some renovation, this presents a great opportunity to put your own stamp on. The accomodation comprises of a landing, lounge, kitchen, two double bedrooms and bathroom. Exernally there is a brick store and lovely garden with views over the lake to the rear. No chain.